Disclosure: This post is part of a sponsored campaign for Wipeout Dry Erase Productive Gear. I received compensation for my participation, but my review and opinions are my own. Safety is top priority when you have children. We start off by taking prenatals to keep them safe and healthy in the womb. 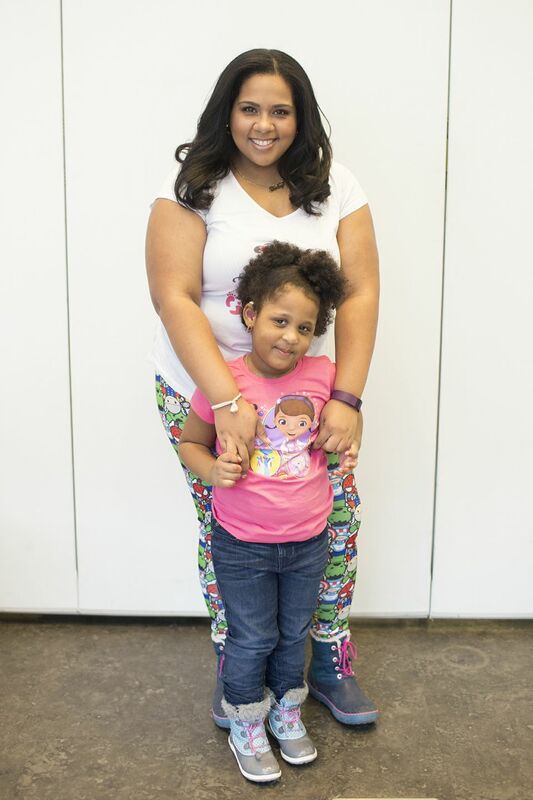 We then baby-proof our homes and hope our children grow up without needing any casts or stitches. It's National Bike Month and we've actually hit the preschool age where Gabby wants her very first bike. Everyone knows that the first rule of bike shopping is getting the perfect helmet that brings out my child's creatively awesome personality... Introducing Wipeout Dry Erase Productive Gear! 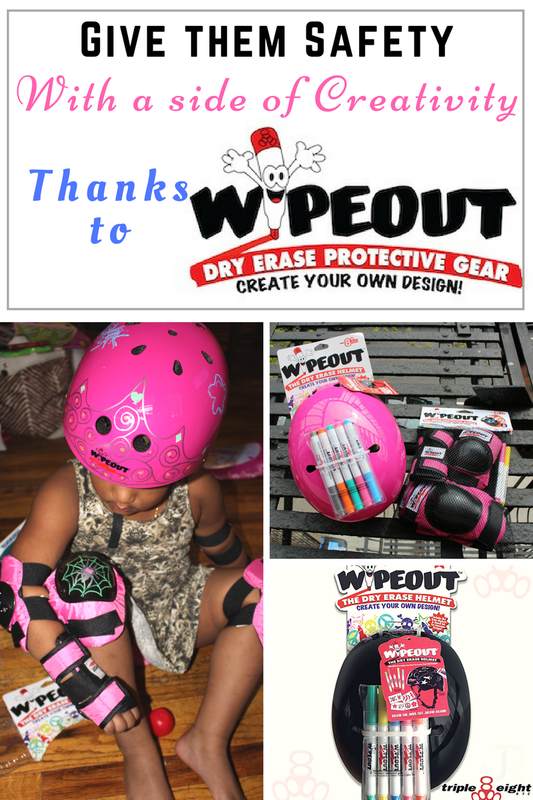 Wipeout Dry Erase Protective Gear lets our kids customize their helmets and pads with their own designs. The Wipeout Dry Erase Helmet package includes the Dry Erase helmet, 5 Dry Erase markers in assorted neon colors and 8 stencil designs, for $29.99. We were able to get creative right out of the box! I handed Gabs some markers and asked her to select the stencil design she wanted. 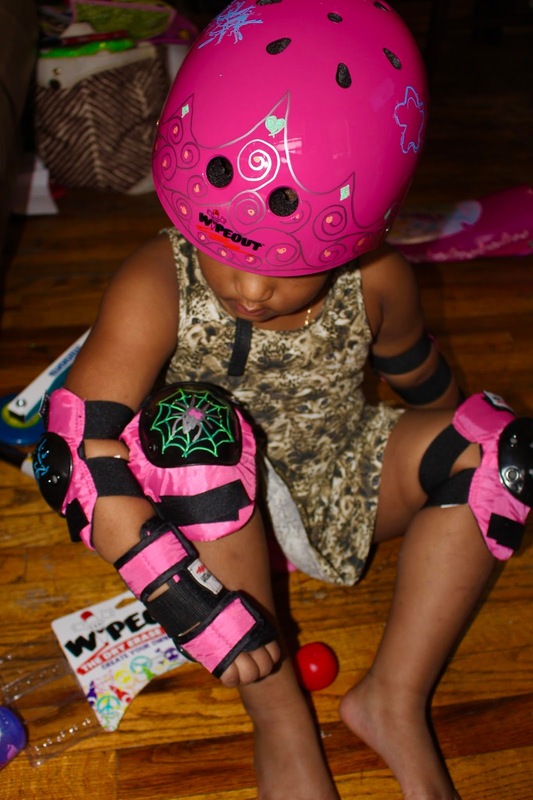 While she was busy drawing peace signs and Bats on her Helmet, I helped design her knee pads with Girly Skulls and a spider with a pink bow! But what good are these cool designs if we don't let everyone know that she's really a Princess underneath it all? Gabriella and I were surely having loads of fun designing, wiping off, and re-designing her new safety gear. She just HAD to wear it right away and even discovered how well they protected her knees when she tripped and slid on her knee pads. She thought she'd invented a new game.... I assured her it was NOT. The sturdy and very stylish helmet is made of ABS hard-shell construction with an EPS liner for durability. It is certified for safety protection for roller sports, including biking, skateboarding, roller-skating and scooters, for kids ages 3 to 14. If you want to get more creative beyond the included stencils, then check out these awesome tutorials! Helmet sizes are: 3+ (47-49cm), 5+ (49-52cm) and 8+ (52-56cm). Colors include Black, Teal, Neon Pink and Zest (a neon yellow-green), among a few others. There’s even a Snow version of the Dry Erase helmet, with ear flaps and a goggle clip, for sledding and snow sports! ($39.99). Wipeout Dry Erase Protective 3-Pack includes knee pads, wrist guards, elbow pads, and 2 markers, for $24.99. Pads also come in Black, Teal, Neon Pink and Zest. Wipeout is made by a company called Triple Eight. They are leading producers of action sports protective gear since 1995! They are a company known for safety and one that parents can trust. Aside from keeping our kids safe, they've also made safety fun with the new Wipeout Gear. With a helmet as unique as your kids, I'm sure they'll actually WANT to wear them. Now it's time to Win, Good Luck Everyone! OMG no way! I HAVE to get each of my boys one of these helmets. How cool - they will love them. These look terrific! I always made my boys wear helmets and protective gear, taking a risk and not just isn't worth the risk! I love that you can customize these bike helmets! My grandkids would love this and I probably wouldn't have to remind them to wear their safety helmets. So cute! Most places now or at least if you live in town it is the law that kids have to wear helmets when riding bikes. If they are skating or doing other sports elbow and knee pads are a must. I don't know why this has not come out sooner. We should connect children with drawing and art and creativity. This is the Best of both worlds. That is one funky bike idea and I am so glad you are also promoting the fact that all children should ride with a helmet for safety. I had so many bikes accidents and landed on my head I am so lucky not to crack y skull fully. Great post. I think these Wipe Out items are so fun! I love that the kids can decorate them as they want. It's such a fun idea! Oh my goodness how awesome is that helmet I love that you can DIY it to make it your own so cool. This is so cool! I like anything that gets kids to wear their safety gear when they need it. I love this idea. Kids will be more than happy to wear protective gear that they themselves designed. I will get getting these for my nephew. Thanks for letting me know. My kids love to color and draw. This protective gear would be perfect for them. THeyll have fun and be safe. Its really important to put safety first. I love the way you guys decorated her helmet. How fun! 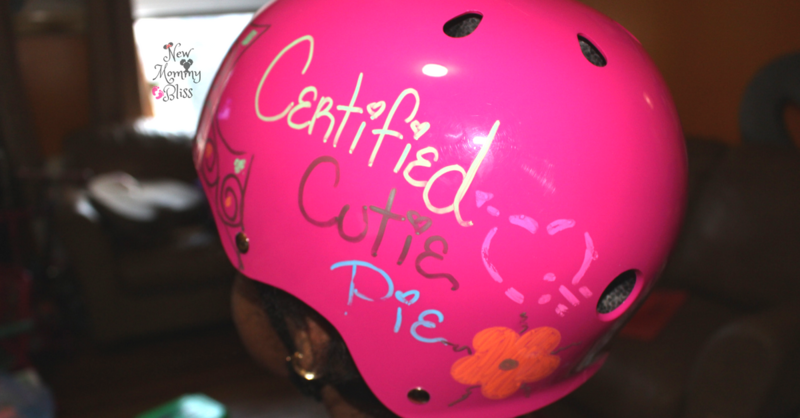 Personalizing the helmet will really make the kids feel connnected to it. I like the idea - I wish they'd had something like this when my son cared about riding his bike. Now, isn't this a lot of fun! I think it's a great way to encourage kids to wear protective gear when playing outside. It's definitely a gift they'll love! What a way to teach kids about the importance of wearing protective gear! I think it's awesome that there's a helmet like this! The Wipeout Dry Erase Productive Gear is something that my niece's kids would love to have especially for this summer. The gear is an awesome way for them to bring out their creativity. 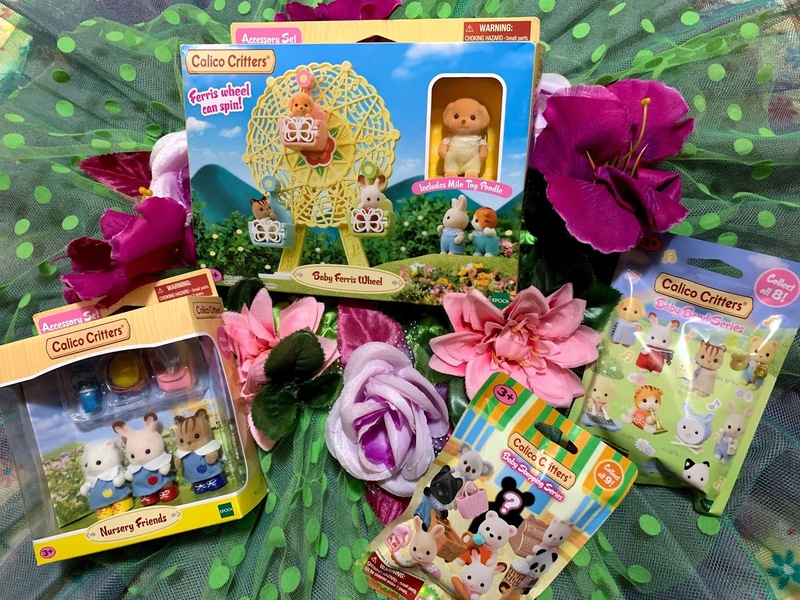 Thanks for sharing these awesome products and the giveaway. What a great idea! This is an awesome way to get kids to love safety and wearing helmets. I remember I hated wearing helmets when I was younger, but it's so important! I never wore a helmet while learning to ride a bike (tom boy lol) yet I believe it's very important to put safety first.